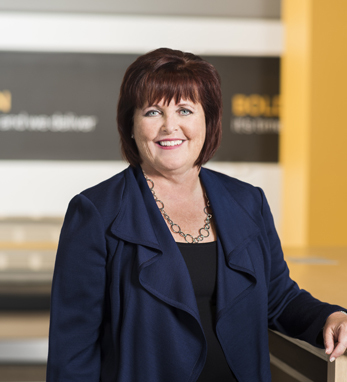 Margaret Keane is president and chief executive officer of Synchrony Financial, one of the nation’s premier consumer financial services companies. Margaret’s passion for emerging technology and employee development has solidified her reputation as a leader in the field. Prior to her current role, she was president and CEO of GE’s North American retail finance business and led the retail card platform at GE Capital as president and CEO. She held additional leadership roles during her 18 years at GE Capital and began her career at Citibank. Margaret earned her M.B.A. and a bachelor’s degree from St. John’s University. She is consistently ranked among the most powerful women in her field by American Banker and Fortune and serves on the board of directors for the Financial Services Roundtable and the youth-services non-profit buildOn. She is also a member of the board of trustees for St. John’s University and the Connecticut chapter of the National Multiple Sclerosis Society.